The Midlands State University’s Department of Mining Engineering under the Faculty of Mining and Mineral Processing Engineering held a five-day short course from the 5th to the 9th of November 2018. The course, which was held at the University’s Zvishavane Campus drew together conventional students and industry participants from mining companies namely: Mimosa, Unki and Zimplats; financial organisations, legal firms and entrepreneurs from around the country. Through a deliberate, theoretical and practical approach to learning, the mining law short course was designed to equip participants with a keen knowledge of laws that regulate the mining industry. Additionally, the course sought to enhance participants’ awareness and understanding of their legal obligations in mining and mineral exploration as well as prepare them to take up entrepreneurial and administrative roles in the minerals industry. Commenting on the short course programme, the MSU Executive Dean of Mining and Mineral Processing Engineering, Dr A. Mamuse noted that the programme was in keeping with the University’s vision, that of empowerment and wealth creation among communities. He also highlighted that through training in valuation and management of the country’s mineral resources, which are key steps in the mining value chain, maximum benefits through mineral beneficiation and value addition could be realised. 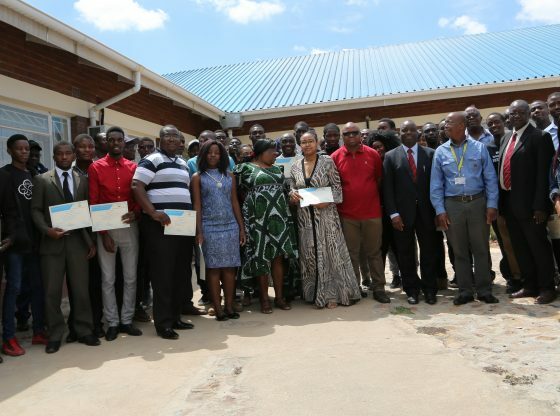 The short course programme ended on a high note with participants being awarded certificates of completion at a colourful presentation ceremony officiated by the Zvishavane Campus Director, Professor A. Viriri, on the 9th of November. Speaking during the ceremony, Professor Viriri congratulated and commended participants for successfully undertaking the programme. The certification ceremony was also attended by various members of the University community among them, the Metallurgical Engineering Chairperson, Dr E Muleya and Mining Engineering Chairperson, Mr E Mandaza together with staff members from the Faculty of Mining and Mineral Processing Engineering.